Mint, cucumber and a healthy pour of gin–sounds like the perfect cocktail for a warm weekend if you ask me! San Francisco has been unusually gorgeous lately and I'm taking advantage of this weather for as long as it lasts! Combine gin, lime juice and syrup in a cocktail shaker with ice; shake for 10-15 seconds, then strain into a highball or Collins glass filled with ice. 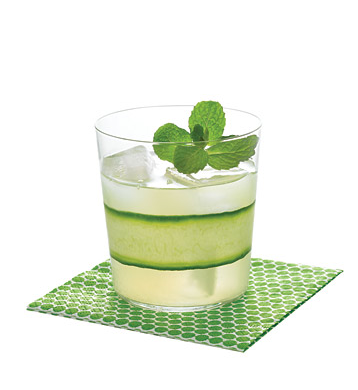 Wrap a strip of cucumber around the inside of the glass and top with a sprig of freshly slapped mint. Notes: Cucumber-infused gin can easily be swapped for a bottle of Hendricks and Sonoma Syrup Co. makes a mint simple syrup–but since you'll need cucumber and mint for gorgeous garnishes, why not make your own? You can use the mint syrup in juleps and lemonades, and cucumber gin is perfect for gin and tonics! Cucumber-infused gin: Steep 1/2 cups of diced, peeled cucumber in 1 cup of gin, chilled and covered, for 8 hours to 4 days. Strain and store indefinitely in the refrigerator. Mint simple syrup: Heat 1 cup sugar and 1 cup water over medium-high heat, stirring until dissolved. Add 1 cup of mint leaves and remove from heat. Cover and steep for 30 minutes to 1 hour. Strain and discard mint; refrigerate for up to 2 months. 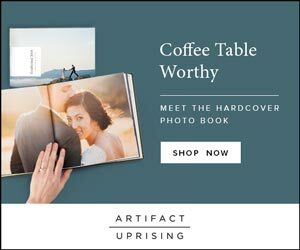 Image and Recipe from Martha Stewart Weddings. Love when you post a cocktail girl! Happy weekend. I want this to be my new summer drink, sounds so refreshing! At least someone is enjoying lovely weather, I might have to mix up one of the refreshing drinkies and pretend I am with you in SF! Terribly cold here again tonight! That is one stylishly minty looking drink ! Hehe. Gimelts sound like the perfect drink for a warm weekend. Especially with the weather we've been having down in LA, a crisp drink is always nice. Ooh this does sound perfect! I'm bookmarking this for summer!! love the cucumber strip in the glass.